POI - Finland - Office International. Allotment sites are worth a visit. Here some examples. 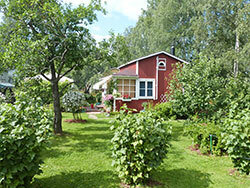 Brunakärr (in Finnish: Ruskeasuo) is the oldest Finnish allotment garden situated at its original site, founded in 1918. 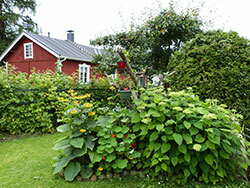 There are nine allotment gardens in the capital city Helsinki. Nekala Allotment Association is famous for their acknowledged dry toilets. 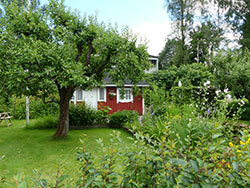 The allotment garden is the second largest in Finland (311 plots) and Tampere (in total four allotment gardens) is the city, where the first Finnish allotment garden was founded in 1916. Researchers from the University of Turku and the Natural Resources Institute Finland have done a horticultural mapping of the valuable traditional plants in Kupittaa Allotment Garden. 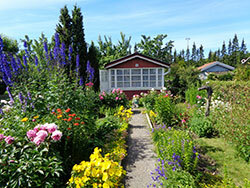 Napapiiri is the northernmost allotment garden in the world! Alle the cottages in Kantolanniemi are built using the original blueprints from 1934 and no changes in the exterior are allowed. 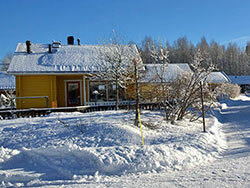 The allotment gardeners in Kantolanniemi have though built a separate "village" of small saunas by the lake Vanajavesi.